Greyscale Interiors, founded by Lexi Tallisman in 2010, is a boutique interior design firm that aspires to express and enhance the lifestyle of each client. Committed to the process of collaboration, Lexi balances colors, textures and materials to create her signature collected aesthetic. By layering saturated color palettes with custom upholstery, antique & vintage furniture with modern accessories, Lexi designs spaces that are warm, casually sophisticated and very livable. Originally from Cleveland OH, Lexi moved to New York to study design at FIT in 2001. 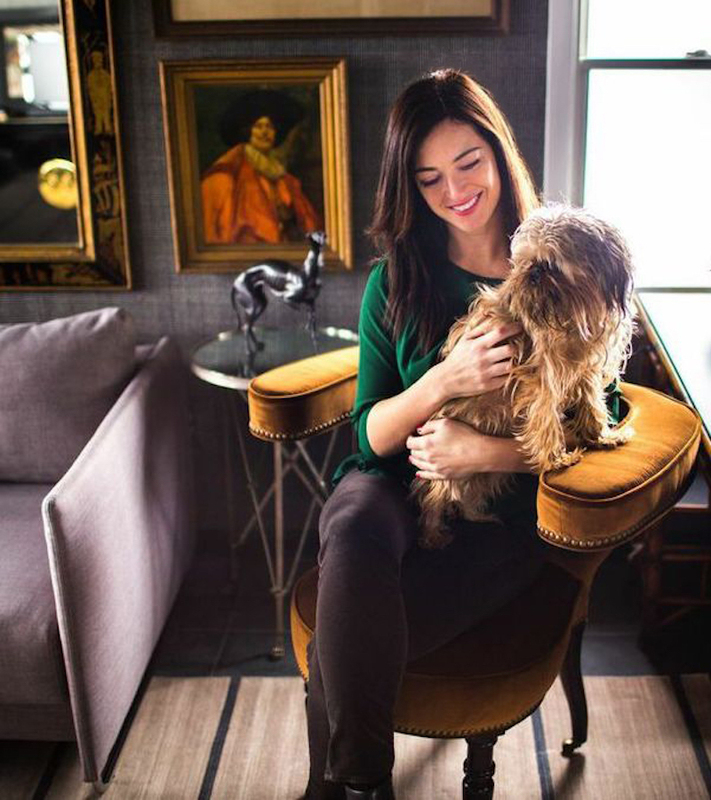 She currently lives and works in a wondrous duplex in Soho, circa 1827, rich with all of the historic architectural details a designer’s heart could dream of. Lexi & her husband spend their weekends at their farm in the Catskills with Rambo, their Brussels Griffon. A vintage furniture enthusiast at heart, when not scouring antique markets or attending design auctions, Lexi spends her time on the dance floor as a latin ballroom dancer. Notable completed projects include a quintessential Soho artist’s loft, a pied-à-terre on the Seine in Paris, a beach house in Amagansett, a Park Avenue lobby and most recently, a gorgeous family home in Sleepy Hollow, NY.